Still image from 247 OutDoor Addiction YouTube video. The days of black rifles at Walmart are over apparently. Walmart plans to halt sales of AR-platform rifles and other mag-fed semi-automatic rifles (as well as certain semi-auto shotguns with capacities of 7+ rounds). Currently, AR-15s and other “modern sporting rifles” are sold in roughly one third of the company’s 4,600 U.S. stores. Walmart is the USA’s largest vendor of rifles and ammo, so this is a significant policy change that will impact sportsmen across the country. Walmart says that its decision to stop selling semi-auto rifles is prompted by reduced demand for AR-type rifles, rather than by political pressures. Walmart spokesman Kory Lundberg told Bloomberg Business, “If you have a product customers aren’t buying, you phase it out,” he said. Shoppers “were buying shotguns and rifles, and so we are increasing assortment in that.” Lundberg stated that Walmart would sell down its remaining AR inventory to zero as stores transition from summer to fall merchandise. (Source: CTD Shooter’s Log, August 28, 2015). 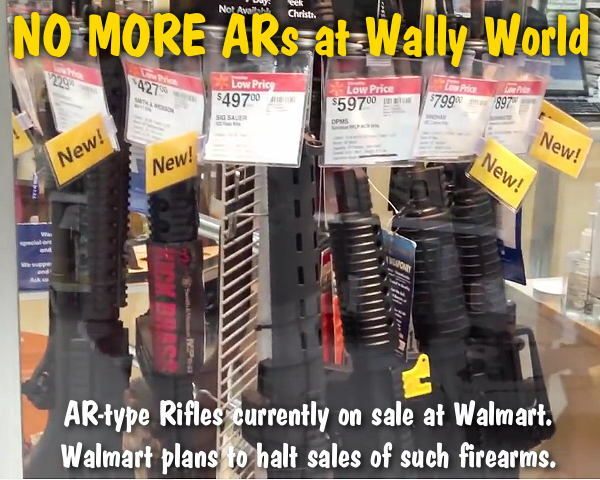 Share the post "Walmart Plans to Halt Sales of AR-Type Rifles"
We are re-publishing this article at the request of Forum members who told us the information proved very valuable. 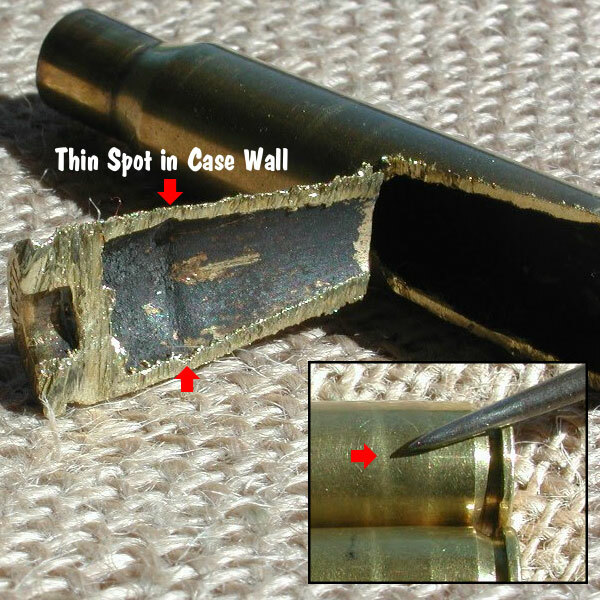 If you haven’t read this Safety Tip before, take a moment to learn how you can inspect your fired brass to determine if there may be a potential for case separation. A case separation can be dangerous, potentially causing serious injury. On the older Riflemans’ Journal blog, GS Arizona wrote an excellent article about cartridge Case-Head Separation. We strongly recommend that you read this article. 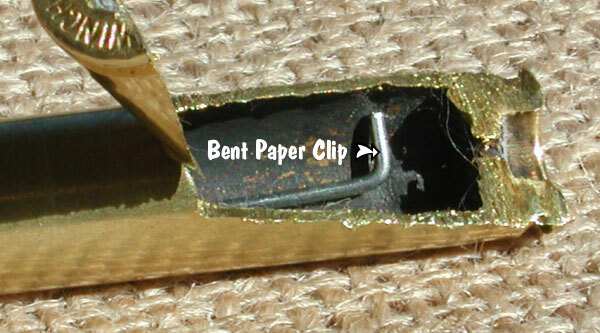 It examines the causes of this serious problem and he explains the ways you can inspect your brass to minimize the risk of a case-head separation. As cases get fired multiple times and then resized during reloading, the cases can stretch. Typically, there is a point in the lower section of the case where the case-walls thin out. This is your “danger zone” and you need to watch for tell-tale signs of weakening. The photo at the top of this article shows a case sectioned so that you can see where the case wall becomes thinner near the web. German scribed a little arrow into the soot inside the case pointing to the thinned area. This case hadn’t split yet, but it most likely would do so after one or two more firings. Share the post "Safety Tip: Inspect Brass to Minimize Case-Head Separation Risk"
Bergara USA offers a new metal-chassis rifle for tactical shooters, such as PRS competitors. Dubbed the Bergara Premier Series Tactical Rifle (aka BPR-17), this new rig features an XLR chassis, and is chambered in .308 Win or 6.5 Creedmoor. With a $2,200.00 MSRP, Bergara’s new rig costs less than a full custom, but it is WAY more expensive than the new Ruger Precision Rifle which sells for $1100-$1250 (street price) at most dealers. For Bergara, this may be a case of “too little, too late” — at least when compared to the new Ruger rifle. The Bergara Premier Tactical is built with Bergara’s Premier action (which featurs a coned bolt nose and breech for smooth feeding). 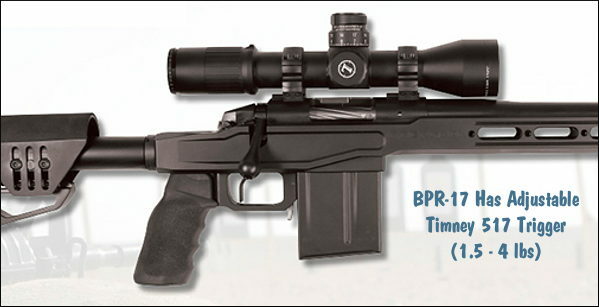 Notably, this rifle is fitted with a Timney 517 flat trigger with safety, adjustable from 1.5 – 4 pounds. The 416 stainless barrel has a Dead Air suppressor-ready Key Mount Brake. Both barrel and action are Cerakote finished in matte black. The XLR chassis features an adjustable length of pull (11.25 – 14.75 inches) and adjustable cheek height. The lightweight chassis buttstock features QD flush cups on both sides, ambidextrous cheek rest, mono-pod provision and an enclosed design. For more information, visit www.bergarausa.com. Trigger: Timney 517 flat trigger with safety, adjustable from 1.5 – 4 lb. Share the post "New Modular Tactical Rifle from Bergara"